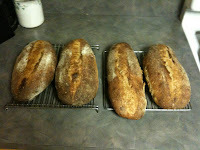 Long-time readers of this blog will know that I have a passion for making bread. 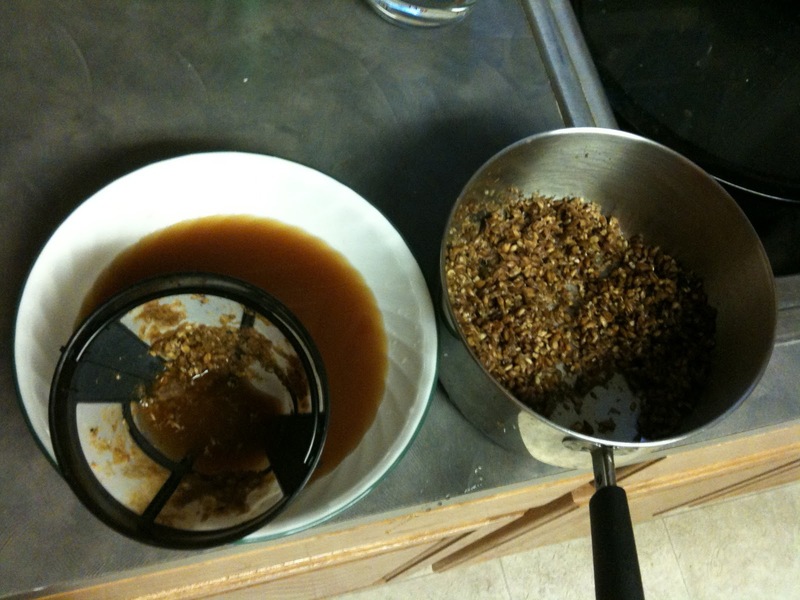 It is a process that is surprisingly similar to making beer and is, to me, equally satisfying. Given the similarities in process (both use yeast, both are built from cereal grains, etc. ), there must be ways of combining the two together. I have had mixed success by making flour out of malted grain several times and working it into a bread recipe as part of the flour bill. I have also tried to substitute beer as a portion of the water mixture in the dough composition. This resulted in a very dense bread, where the yeast activity was likely impacted by the alcohol concentration of the beer. While the resulting flavor was interesting, the technique seemed more suited to quick breads, where the leavening comes from chemical reactions instead of from yeast metabolism. But I recently came across an idea on the Pizza Quest website that set my creative gears turning. Pizza Quest is a great website that chronicles Peter Reinhart, one of my favorite bread authors, and his quest to find incredible pizza and those who make it. The site features short webisodes that are recorded with various pizza makers and other chefs, as well as recipes, techniques, and other commentaries. Pizza Quest has been working on a beer and pizza challenge with The Bruery that I plan to cover in another post. 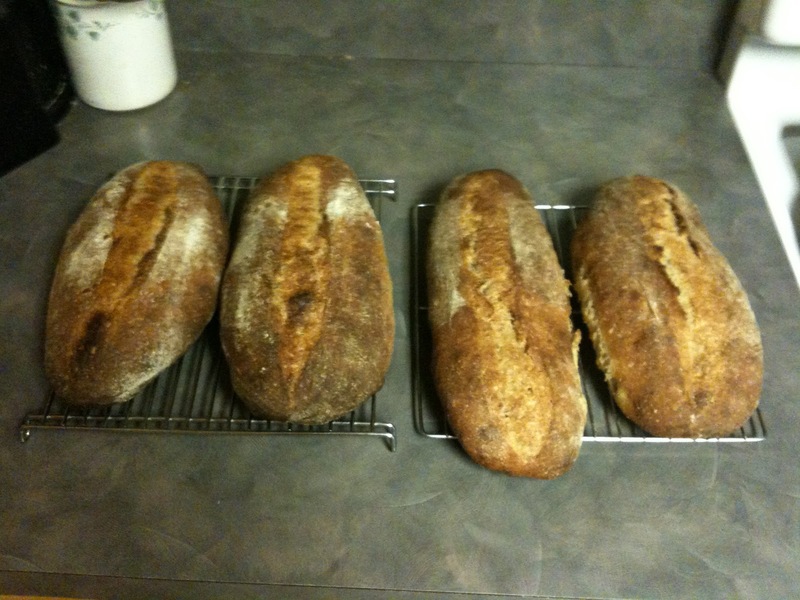 That series generated a reader suggestion that said, why don't you use wort in bread? What a fantastic idea! It would remove the alcohol-retardation problem when finished beer is used directly in the dough. Being a liquid, it would blend easier in dough, and if used in higher quantities, should not result in any kind of husky or grainy flavor. I had to try it. The next day, I set about making my favorite sourdough recipe, Norwich Sourdough, from the Wild Yeast blog. I selected this recipe because I have made it literally dozens of times and I am familiar with how the finished bread tastes and smells, as well has how the dough responds during rise times. I took the base recipe, and substituted the water for a mash made of malted grain, which I used a Cara-Red malt that I had in stock. 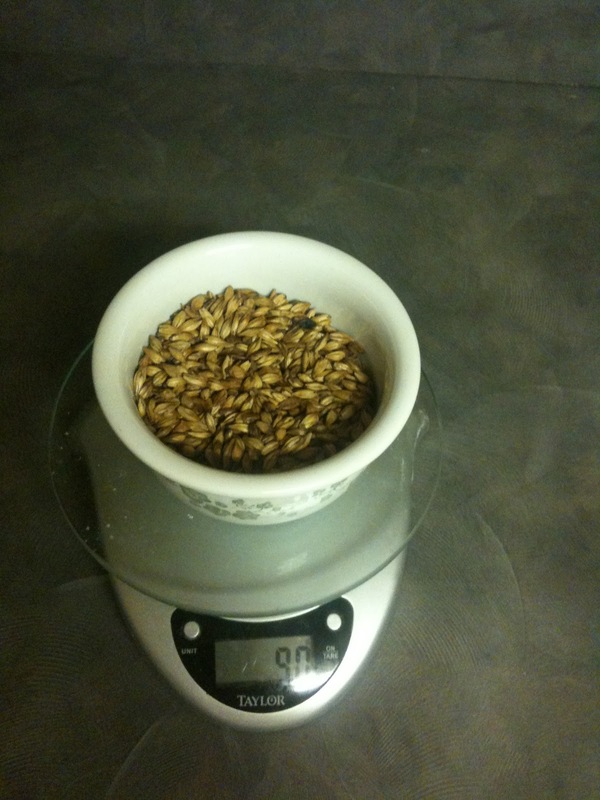 I used 15 percent by weight of malt, when compared to the water (90 grams of malt to 600 grams of water). I ground the malt by briefly pulsing in a cleaned coffee mill. I mixed the water and the grain together and heated the mixture to about 150 F, then let it cool to room temperature. 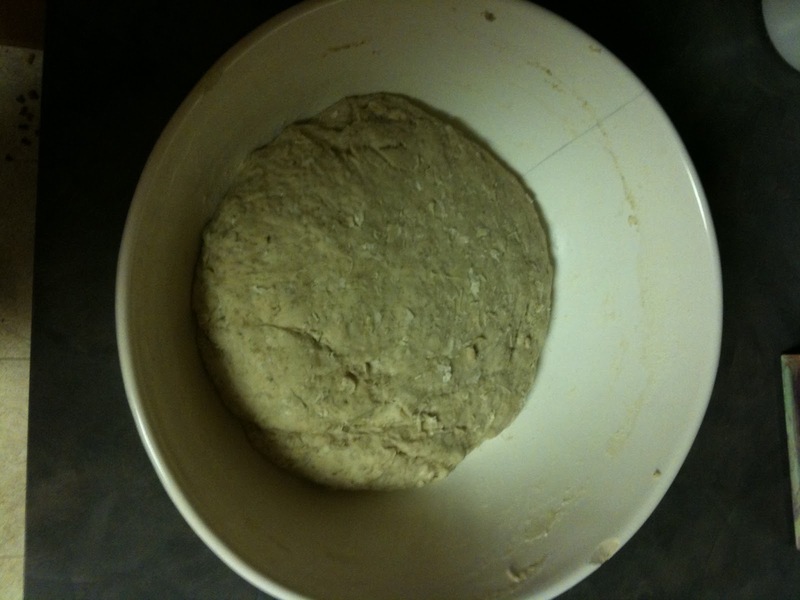 I then poured the mixture through a coffee filter, to separate the solids, and used that in the dough. The grains absorbed about 140 grams of water during the heating process, so I added back normal tap water to make up for the loss. The rest of the baking process followed the recipe as normal. The resulting loaves were darker than usual. The most noticeable difference was that the crust had an almost candy-coating like hardness. It definitely took some work to get through it with the knife, but once through the outer layer, the bread crumb was a normal sourdough consistency. Upon tasting the bread, the crust really crackled in your mouth, again like a candy-coating, but without the sweetness. The bread flavor itself was not remarkably different, perhaps a little richer. This is definitely something I plan to play with more. The next attempt will probably use a darker malt, probably pale chocolate, in a lower percentage because of its more intense flavor. I would encourage any of our baker readers to try to do the same and let us know how the bread turns out.